The symbol of the hand and heart originated with the Shakers and symbolized hard work, spirituality and a loving welcome. On crafts it is accompanied with the words: “Hands to Work; Hearts to God”. 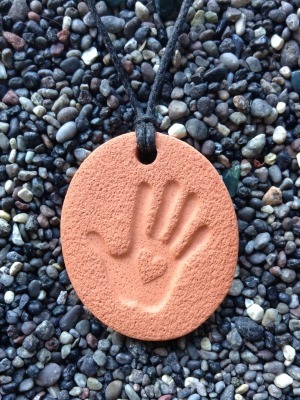 a Caring Hand is a perfect pendant for the care-giver, the therapist, Reiki practitioner, nurse/doctor, physiotherapist, chiropractor, Acupuncture practitioner, Healing Touch therapist, Massage Therapist and for anyone else who lends a caring hand. I love this necklace. I was the care giver for both of my parents before they died. They were both in wheelchairs and I had to use my hands a lot to serve their needs. I got this necklace after they both were gone and when I saw it my heart was truly touched. Thank you! I love this pendant. Firstly, it holds the oils really well and secondly, I always believe that everyone needs to have a caring hand to help others…that is what my motto to life is…help others when you can because you never know when you may need a helping hand yourself 🙂 Love your product…I wear one of your pendants every day!! !